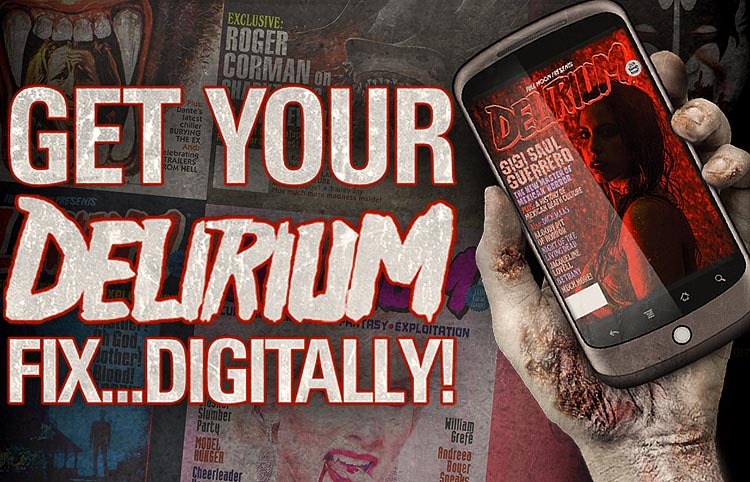 The fussin’ and feudin’ behind the scenes of legendary Italian horror soundtrack overlords Goblin are well documented. When Dario Argento roped in young and hungry progressive rock band Cherry Five to add sizzle to Giorgio Gaslini’s score for his 1975 thriller PROFONDO ROSSO, he re-christened them Goblin, his film – re-titled DEEP RED in English territories – was a hit and so was Goblin’s soundtrack record, the “Tubular Bells” inspired title track swiftly setting the bar by which all “giallo” films to follow would bow to. But with success came the aforementioned infighting and – after the recording of the soundtrack to Argento’s 1977 masterpiece SUSPIRIA – the group soon fell apart, reforming in various incarnations through the years but eventually falling silent. 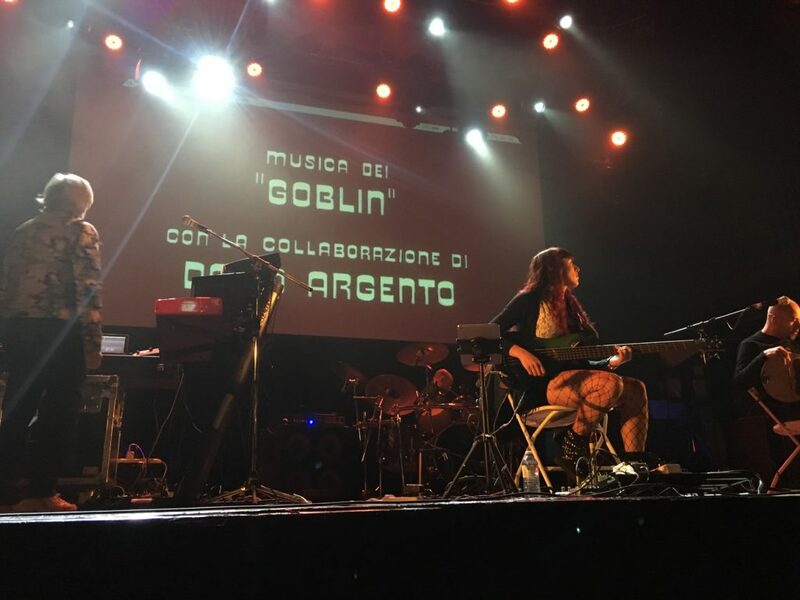 But the legacy of Goblin endured and co-founding member and keyboardist Claudio Simonetti would continue scoring Argento’s films both solo and with other musicians (and, during times of peace, other ex-Goblin members). 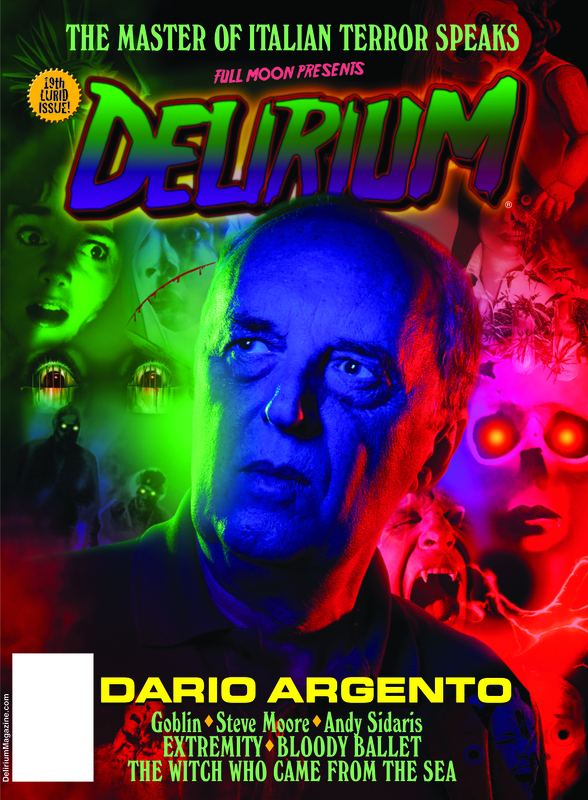 The band famously re-formed to write the score for Argento’s SLEEPLESS, before collapsing again but later, with the presence of Goblin session player and auxiliary member and keyboardist Maurizio Guarini, Goblin reformed and launched a hugely successful world tour…and then swiftly broke up again! Sheesh! With Guarini, along with original members Massimo Morante and Fabio Pignatelli (Zombi’s Steve Moore even joined them for a leg of a tour) reforming, performing and recording as Goblin, Simonetti – who had long been the driving creative force of the group during its early days- resurrected a version of his heavy metal-tinted Daemonia project and re-titled this incarnation Claudio Simonetti’s Goblin. It was under this handle that Simonetti re-recorded many signature Goblin scores like PROFONDO ROSSO and ZOMBI (the Italian title of DAWN OF THE DEAD) for Italy’s Rustblade Records and it was this band that blazed into Toronto’s Opera House on November 20th, a gig supporting their 2018 tour playing the SUSPIRIA score live. And what a mesmerizing performance it was. Joined by longtime collaborators, guitarist Bruno Previtali and drummer Titta Tani, plus the welcome addition of Italian metal band bassist Cecilia Nappo, Simonetti stood behind his bank of synthesizers and his laptop (which provided necessary backtracks) and immediately dove into making the music for the movie screening behind them: SUSPIRIA. Employing an uncut Italian print, the quartet effortlessly reproduced the experimental, nightmarish wave of strings, keys and percussion that serve as the sonic spine to Argento’s designer, post-mod danse macabre. It was a unique, expertly timed performance, with the players relaxed and focused and the ultimate effect was that of actually sitting in on a scoring session. It was an incredible experience that intensified during the fiery closing credits climax, when the band stood up and rocked that malevolent theme hard. And I mean hard. And then, it got harder. Without taking a break, Simonetti asked the audience if they wanted more, which naturally we did. And the group then blasted into fist pumping, berserkly heavy renditions of cues from MOTHER OF TEARS, DEMONS, TENEBRE (an astonishing performance), DEEP RED and DAWN OF THE DEAD, the latter serving as a moving visual tribute to its late director, George A. Romero. 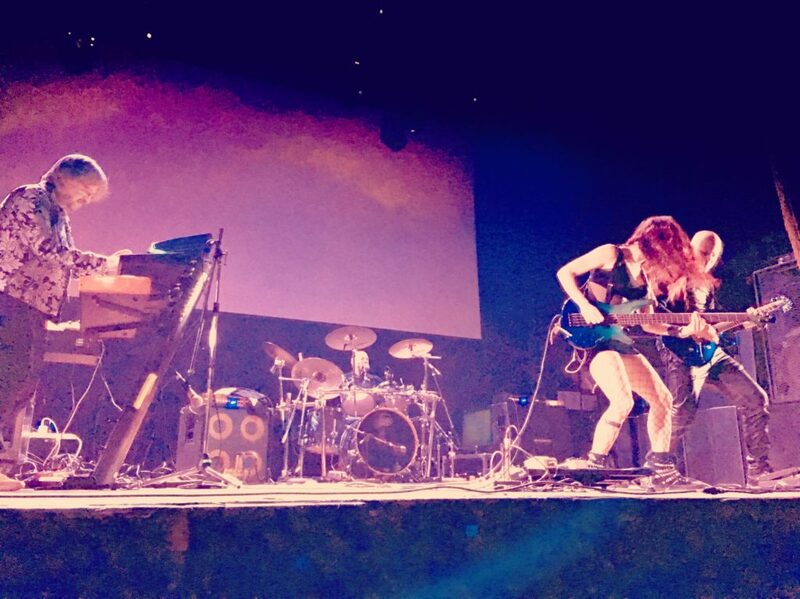 And through it all, Simonetti pounding his keys while Prevali shredded, Tani pummeled and Zappo sort of stole the show, flipping her hair and stomping across the stage like a female Gene Simmons, snarling and astonishing with her brilliant bass-work. She’s a monster and the world should watch her closely. She’s that good.